Phil Pilkington has responded to my post about the latest version of my paper (co-authored by Paul Zimmerman) on the Sraffa-Hayek debate about the natural rate of interest. For those of you who haven’t been following my posts on the subject, here’s a quick review. Almost three years ago I wrote a post refuting Sraffa’s argument that Hayek’s concept of the natural rate of interest is incoherent, there being a multiplicity of own rates of interest in a barter economy (Hayek’s benchmark for the rate of interest undisturbed by monetary influences), which makes it impossible to identify any particular own rate as the natural rate of interest. Sraffa maintained that if there are many own rates of interest in a barter economy, none of them having a claim to priority over the others, then Hayek had no basis for singling out any particular one of them as the natural rate and holding it up as the benchmark rate to guide monetary policy. I pointed out that Ludwig Lachmann had answered Sraffa’s attack (about 20 years too late) by explaining that even though there could be many own rates for individual commodities, all own rates are related by the condition that the cost of borrowing in terms of all commodities would be equalized, differences in own rates reflecting merely differences in expected appreciation or depreciation of the different commodities. Different own rates are simply different nominal rates; there is a unique real own rate, a point demonstrated by Irving Fisher in 1896 in Appreciation and Interest. Let me pause here for a moment to explain what is meant by an own rate of interest. It is simply the name for the rate of interest corresponding to a loan contracted in terms of a particular commodity, the borrower receiving the commodity now and repaying the lender with the same commodity when the term of the loan expires. Sraffa correctly noted that in equilibrium arbitrage would force the terms of such a loan (i.e., the own rate of interest) to equal the ratio of the current forward price of the commodity to its current spot price, buying spot and selling forward being essentially equivalent to borrowing and repaying. Now what is tricky about Sraffa’s argument against Hayek is that he actually acknowledges at the beginning of his argument that in a stationary equilibrium, presumably meaning that prices remain at their current equilibrium levels over time, all own rates would be equal. In fact if prices remain (and are expected to remain) constant period after period, the ratio of forward to spot prices would equal unity for all commodities implying that the natural rate of interest would be zero. Sraffa did not make that point explicitly, but it seems to be a necessary implication of his analysis. 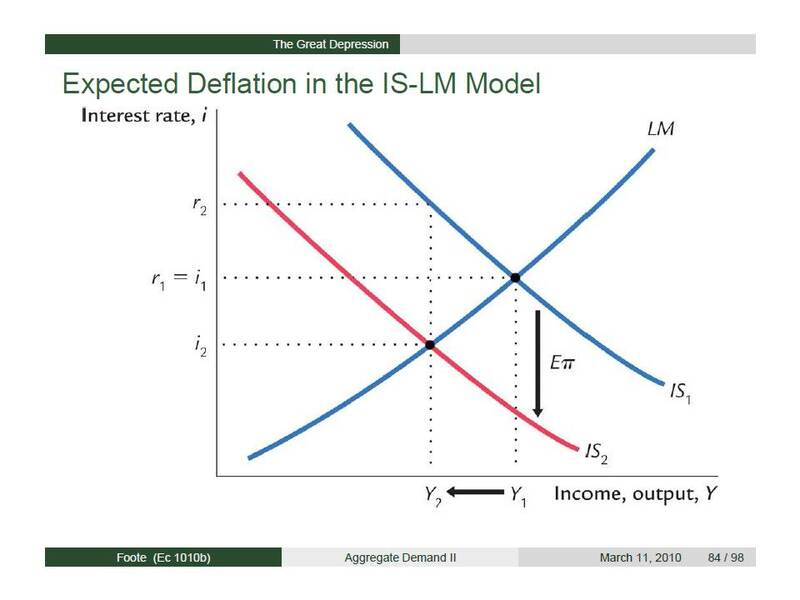 (This implication seems to bear on an old controversy in the theory of capital and interest, which is whether the rate of interest would be positive in a stationary equilibrium with constant real income). Schumpeter argued that the equilibrium rate of interest would be zero, and von Mises argued that it would be positive, because time preference implying that the rate of interest is necessarily always positive is a kind of a priori praxeological law of nature, the sort of apodictic gibberish to which von Mises was regrettably predisposed. The own-rate analysis supports Schumpeter against Mises. This is a difficult passage, and in previous posts, and in my paper with Zimmerman, I did not try to parse this passage. But I am going to parse it now. Assume that demand shifts from tomatoes to cucumbers. In the original equilibrium, let the prices of both be $1 a pound. With a zero own rate of interest in terms of both tomatoes and cucumbers, you could borrow a pound of tomatoes today and discharge your debt by repaying the lender a pound of tomatoes at the expiration of the loan. However, after the demand shift, the price of tomatoes falls to, say, $0.90 a pound, and the price of cucumbers rises to, say, $1.10 a pound. Sraffa posits that the price changes are temporary, not because the demand shift is temporary, but because the supply curves of tomatoes and cucumbers are perfectly elastic at $1 a pound. However, supply does not adjust immediately, so Sraffa believes that there can be a temporary deviation from the long-run equilibrium prices of tomatoes and cucumbers. The ratio of the forward prices to the spot prices tells you what the own rates are for tomatoes and cucumbers. For tomatoes, the ratio is 1/.9, implying an own rate of 11.1%. For cucumbers the ratio is 1/1.1, implying an own rate of -9.1%. Other prices have not changed, so all other own rates remain at 0. 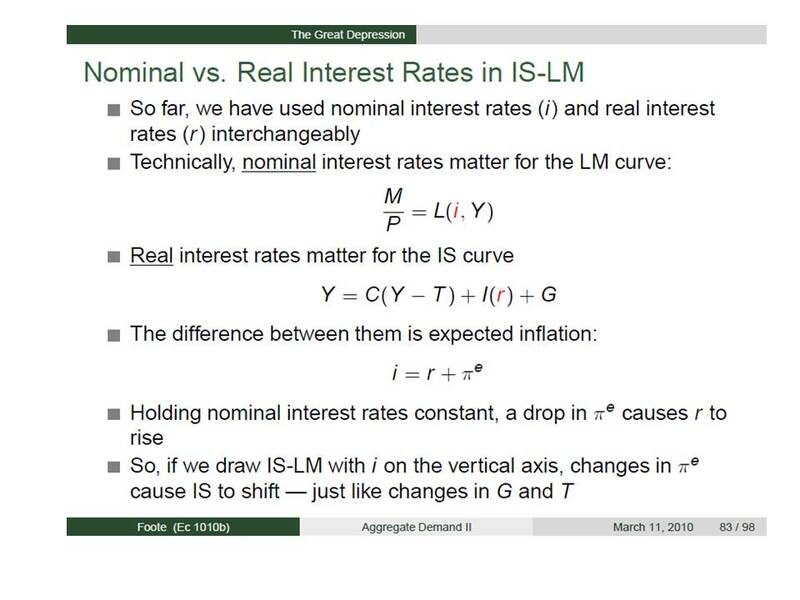 Having shown that own rates can diverge, Sraffa thinks that he has proven Hayek’s concept of a natural rate of interest to be a nonsense notion. He was mistaken. There are at least two mistakes. First, the negative own rate on cucumbers simply means that no one will lend in terms of cucumbers for negative interest when other commodities allow lending at zero interest. It also means that no one will hold cucumbers in this period to sell at a lower price in the next period than the cucumbers would fetch in the current period. Cucumbers are a bad investment, promising a negative return; any lending and investing will be conducted in terms of some other commodity. The negative own rate on cucumbers signifies a kind of corner solution, reflecting the impossibility of transporting next period’s cucumbers into the present. If that were possible cucumber prices would be equal in the present and the future, and the cucumber own rate would be equal to all other own rates at zero. But the point is that if any lending takes place, it will be at a zero own rate. Second, the positive own rate on tomatoes means that there is an incentive to lend in terms of tomatoes rather than lend in terms of other commodities. But as long as it is possible to borrow in terms of other commodities at a zero own rate, no one borrows in terms of tomatoes. Thus, if anyone wanted to lend in terms of tomatoes, he would have to reduce the rate on tomatoes to make borrowers indifferent between borrowing in terms of tomatoes and borrowing in terms of some other commodity. However, if tomatoes today can be held at zero cost to be sold at the higher price prevailing next period, currently produced tomatoes would be sold in the next period rather than sold today. So if there were no costs of holding tomatoes until the next period, the price of tomatoes in the next period would be no higher than the price in the current period. In other words, the forward price of tomatoes cannot exceed the current spot price by more than the cost of holding tomatoes until the next period. If the difference between the spot and the forward price reflects no more than the cost of holding tomatoes till the next period, then, as Keynes showed in chapter 17 of the General Theory, the own rates are indeed effectively equalized after appropriate adjustment for storage costs and expected appreciation. Thus, it was Keynes, who having selected Sraffa to review Hayek’s Prices and Production in the Economic Journal, of which Keynes was then the editor, adapted Sraffa’s own rate analysis in the General Theory, but did so in a fashion that, at least partially, rehabilitated the very natural-rate analysis that had been the object of Sraffa’s scorn in his review of Prices and Production. Keynes also rejected the natural-rate analysis, but he did so not because it is nonsensical, but because the natural rate is not independent of the level of employment. Keynes’s argument that the natural rate depends on the level of employment seems to me to be inconsistent with the idea that the IS curve is downward sloping. But I will have to think about that a bit and reread the relevant passage in the General Theory and perhaps revisit the point in a future post. UPDATE (07/28/14 13:02 EDT): Thanks to my commenters for pointing out that my own thinking about the own rate of interest was not quite right. I should have defined the own rate in terms of a real numeraire instead of $, which was a bit of awkwardness that I should have fixed before posting. I will try to publish a corrected version of this post later today or tomorrow. Sorry for posting without sufficient review and revision. UPDATE (08/04/14 11:38 EDT): I hope to post the long-delayed sequel to this post later today. A number of personal issues took precedence over posting, but I also found it difficult to get clear on several minor points, which I hope that I have now resolved adequately, for example I found that defining the own rate in terms of a real numeraire was not really the source of my problem with this post, though it was a useful exercise to work through. Anyway, stay tuned. One of the good things about having a blog (which I launched July 5, 2011) is that I get comments about what I am writing about from a lot of people that I don’t know. One of my most popular posts – it’s about the sixteenth most visited — was one I wrote, just a couple of months after starting the blog, about the Hayek-Sraffa debate on the natural rate of interest. Unlike many popular posts, to which visitors are initially drawn from very popular blogs that linked to those posts, but don’t continue to drawing a lot of visitors, this post initially had only modest popularity, but still keeps on drawing visitors. That post also led to a collaboration between me and my FTC colleague Paul Zimmerman on a paper “The Sraffa-Hayek Debate on the Natural Rate of Interest” which I presented two years ago at the History of Economics Society conference. We have now finished our revisions of the version we wrote for the conference, and I have just posted the new version on SSRN and will be submitting it for publication later this week. Hayek’s Prices and Production, based on his hugely successful lectures at LSE in 1931, was the first English presentation of Austrian business-cycle theory, and established Hayek as a leading business-cycle theorist. Sraffa’s 1932 review of Prices and Production seems to have been instrumental in turning opinion against Hayek and the Austrian theory. A key element of Sraffa’s attack was that Hayek’s idea of a natural rate of interest, reflecting underlying real relationships, undisturbed by monetary factors, was, even from Hayek’s own perspective, incoherent, because, without money, there is a multiplicity of own rates, none of which can be uniquely identified as the natural rate of interest. Although Hayek’s response failed to counter Sraffa’s argument, Ludwig Lachmann later observed that Keynes’s treatment of own rates in Chapter 17 of the General Theory (itself a generalization of Fisher’s (1896) distinction between the real and nominal rates of interest) undercut Sraffa’s criticism. 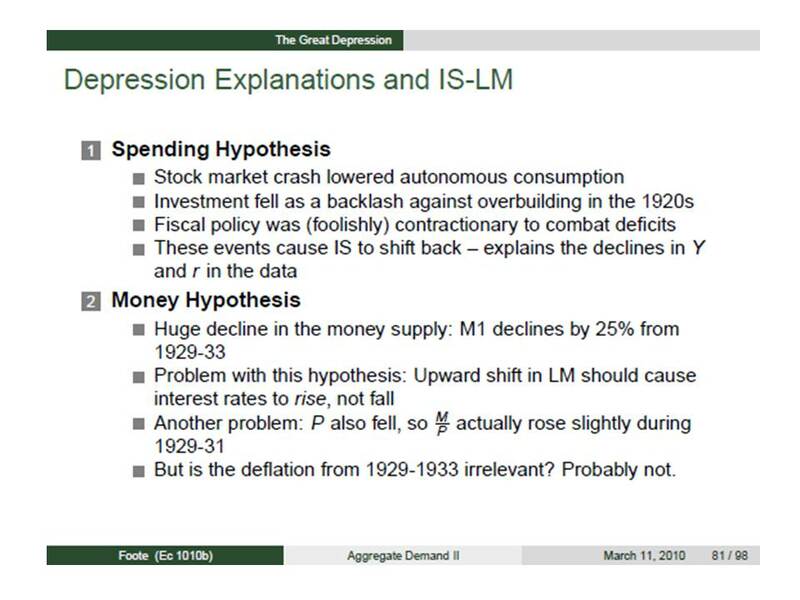 Own rates, Keynes showed, cannot deviate from each other by more than expected price appreciation plus the cost of storage and the commodity service flow, so that anticipated asset yields are equalized in intertemporal equilibrium. Thus, on Keynes’s analysis in the General Theory, the natural rate of interest is indeed well-defined. However, Keynes’s revision of Sraffa’s own-rate analysis provides only a partial rehabilitation of Hayek’s natural rate. There being no unique price level or rate of inflation in a barter system, no unique money natural rate of interest can be specified. Hayek implicitly was reasoning in terms of a constant nominal value of GDP, but barter relationships cannot identify any path for nominal GDP, let alone a constant one, as uniquely compatible with intertemporal equilibrium. Aside from clarifying the conceptual basis of the natural-rate analysis and its relationship to Sraffa’s own-rate analysis, the paper also highlights the connection (usually overlooked but mentioned by Harald Hagemann in his 2008 article on the own rate of interest for the International Encyclopedia of the Social Sciences) between the own-rate analysis, in either its Sraffian or Keynesian versions, and Fisher’s early distinction between the real and nominal rates of interest. The conceptual identity between Fisher’s real and nominal distinction and Keynes’s own-rate analysis in the General Theory only magnifies the mystery associated with Keynes’s attack in chapter 13 of the General Theory on Fisher’s distinction between the real and the nominal rates of interest. I also feel that the following discussion of Hayek’s role in developing the concept of intertemporal equilibrium, though tangential to the main topic of the paper, makes an important point about how to think about intertemporal equilibrium. Perhaps the key analytical concept developed by Hayek in his early work on monetary theory and business cycles was the idea of an intertemporal equilibrium. Before Hayek, the idea of equilibrium had been reserved for a static, unchanging, state in which economic agents continue doing what they have been doing. Equilibrium is the end state in which all adjustments to a set of initial conditions have been fully worked out. Hayek attempted to generalize this narrow equilibrium concept to make it applicable to the study of economic fluctuations – business cycles – in which he was engaged. Hayek chose to formulate a generalized equilibrium concept. He did not do so, as many have done, by simply adding a steady-state rate of growth to factor supplies and technology. Nor did Hayek define equilibrium in terms of any objective or measurable magnitudes. Rather, Hayek defined equilibrium as the mutual consistency of the independent plans of individual economic agents. The potential consistency of such plans may be conceived of even if economic magnitudes do not remain constant or grow at a constant rate. Even if the magnitudes fluctuate, equilibrium is conceivable if the fluctuations are correctly foreseen. Correct foresight is not the same as perfect foresight. Perfect foresight is necessarily correct; correct foresight is only contingently correct. All that is necessary for equilibrium is that fluctuations (as reflected in future prices) be foreseen. It is not even necessary, as Hayek (1937) pointed out, that future price changes be foreseen correctly, provided that individual agents agree in their anticipations of future prices. If all agents agree in their expectations of future prices, then the individual plans formulated on the basis of those anticipations are, at least momentarily, equilibrium plans, conditional on the realization of those expectations, because the realization of those expectations would allow the plans formulated on the basis of those expectations to be executed without need for revision. What is required for intertemporal equilibrium is therefore a contingently correct anticipation by future agents of future prices, a contingent anticipation not the result of perfect foresight, but of contingently, even fortuitously, correct foresight. The seminal statement of this concept was given by Hayek in his classic 1937 paper, and the idea was restated by J. R. Hicks (1939), with no mention of Hayek, two years later in Value and Capital. By defining correct foresight as a contingent outcome rather than as an essential property of economic agents, Hayek elegantly avoided the problems that confounded Oskar Morgenstern ( 1976) in his discussion of the meaning of equilibrium.